This morning I found a recipe for these honey applesauce muffins that sounded amazing, but I couldn't find any applesauce in the fridge so... I decided to make some. I'd never made any before and figured it wouldn't be that hard. Well, I must have done something wrong because mine just didn't come out right, I could get it liquid-y enough. I must have not chopped my apples small enough. It tasted great, but I was afraid it would be to solid for the recipe. I found some regular applesauce in the back of the fridge and mixed it in with the batch I made. 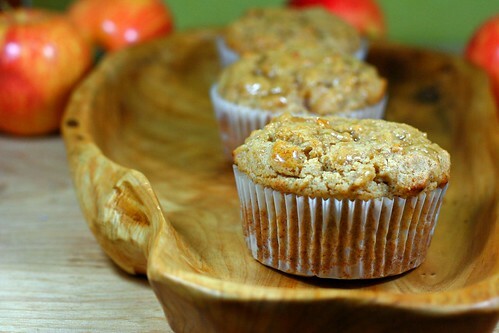 It actually ended up being nice to have some larger chunks of apple in these muffins. 1. Place apples in a medium saucepan over medium low heat. Sprinkle with cinnamon, then add water and cook until the apple bits become soft and mushy. 2. Stir in brown sugar and mix well. 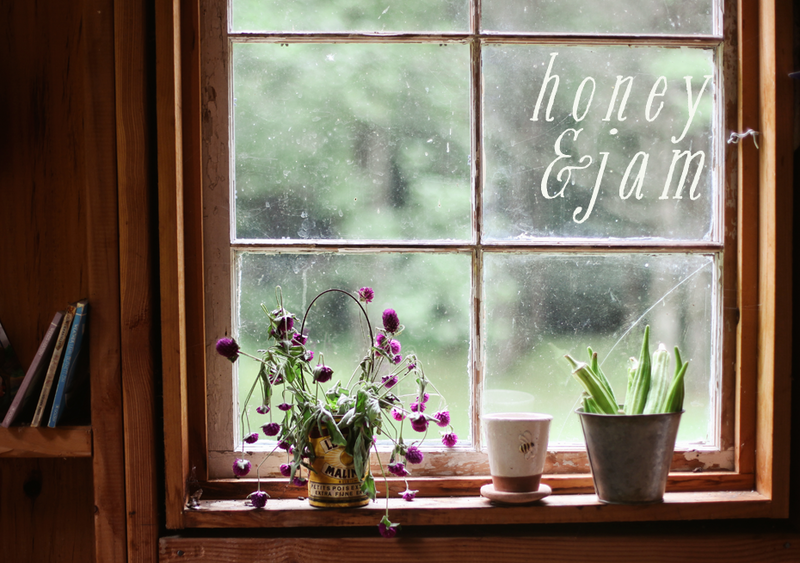 I love apples and I love honey, so I really liked these. They were very moist, and had an excellent apple-y flavor to them. The glaze really made the muffin though, honey and butter make everything better. Heat oven to 400. Spray 12 cup standard muffin pan with nonstick cooking spray. Combine flour, baking powder, pumpkin pie spice and salt in a large bowl. Make a well in the center of the flour by pushing ingredients out towards sides of bowl. 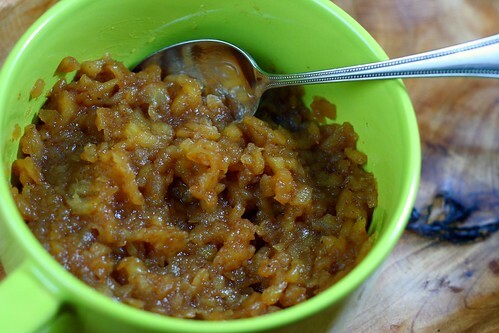 Combine applesauce, oil, honey and egg in a medium bowl with wire whisk. Pour applesauce mixture into flour mixture and stir only until the flour is moistened even though batter is not smooth. Don’t over mix! You’ll regret it. Scrape down sides of the bowl. Fill muffin cups, using about 1/4 cup of batter. Bake 18 to 24 minutes or until slightly browned. Cool muffins for about 2 minutes. 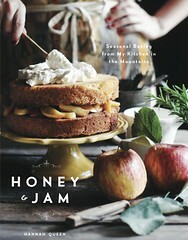 For the glaze, whisk melted butter and 1/4 cup of honey in a small bowl until a glaze forms. Brush glaze generously over tops of warm muffins. Eat! I love seeing all your baking... I'm filing away the recipes to try for myself at some point. I must say, you're far better at it than I am! I am looking forward I'm filing away the recipes to try for myself at some point, to reading your article and read other posts soon. Finding a subject that you are already acquainted with is always a wise decision, as this will help you to create your article. If you are given college writing service a subject that you are not acquainted with, then select a subject that initiates attention in it to you. If you have attention in it in the subject then you will be more inspired to create your article.